Who should do my inspection? 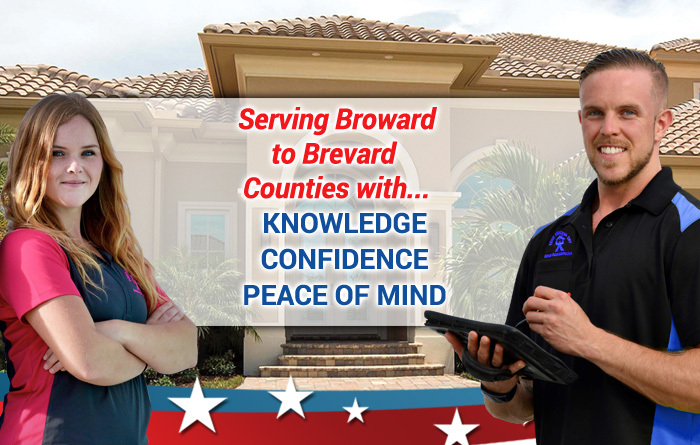 A qualified and professional Florida licensed home inspector. See How to Choose a Home Inspector. Your offer to buy contract should specify an inspection period, normally a five to fifteen day period after signing. We recommend scheduling your inspection as early in you inspection period as possible. This will allow time to become familiar with and react to the results of the inspection as necessary. Work closely with your real estate agent. Give us call – we’ll accommodate your schedule and requirements as much as possible. There are many factors that contribute to the length of the inspection. Size of the property, age of the property, condition of the property, occupancy, additional inspections – all affect the time required for the inspection – all properties are unique. You can count on Your Inspector Guy to devote the time necessary to allow for a comprehensive, thorough inspection. We use state of the art equipment, software and have developed efficient, unique processes that allow us to perform a better inspection in less time than average. As a guideline a 2,000 square foot single family detached home in average condition will take approximately 2 to 2 and half hours. Remember, all homes are unique, contact our office for a more detailed estimate. Should I attend my inspection? We always invite our clients to attend the inspection, but you are not required to attend. Some things are easier to talk about in person than write about in a report. If you can only attend part of the inspection we suggest coming near the end so that we can give you a verbal summary and answer any questions that you may have. If you are unable to attend the inspection rest assured that we work very hard to make our report stand alone, and we are always available for any questions you may have about the inspection or report. When will I receive my written report? After taking the inspection data, notes and comments on site we compile the information into a readable report. We also require a quality assurance review of the report by at least one other qualified person before release. The report is usually delivered via email the same day as the inspection. If you have urgent requirements let us know. We believe the best inspections are conducted when the buyer and the buyer’s real estate agent only are present, however it is not required and anyone can attend. Work closely with your real estate agent to help define attendance in accordance with your wishes. The best inspections allow for private, free and uninhibited flow of information between the inspector and the buyer. Should I hire a contractor to do my inspection? Building contractors are very good at what they do. However in general they may not have the training, experience and processes necessary to provide a comprehensive home inspection. Some contractors use home inspections as a side line to generate business for their contracting business. Anyone performing home inspections must be a licensed home inspector even if already a licensed contractor. Make sure anyone you hire is familiar with home inspection regulations and standards of practice. See How to Choose a Home Inspector. The very best time to do a home inspection is when the home is newly constructed! The best time to catch potential problems is before they can become more serious. Building a home is a complicated and complex process that takes rigorous quality assurance. Every builder should welcome a third party review. My home passed the building department’s permit inspection, why do I need a home inspection? The building department has tremendous responsibility to the community and they do a great job in protecting all of us. Permit inspections are very important in ensuring code compliance through the construction process. However the building department’s inspection is mostly in the interest of public safety and property record accuracy. Their permit inspections usually address the overall installation and are not as detailed as a professional home inspection conducted to the state standards. Can I do my own inspection? Maybe, discuss your desires with your real estate agent. Make sure your findings will be acceptable to all parties involved and that you have permission to conduct the inspection from all parties. Honestly, I never seen a buyer conducted inspection go well. Keep in mind the advantages of a professional home inspector in removing emotion and bias. Consider your personal qualifications for mounting the roof, crawling the attic or reviewing the electric system for a few examples. Even I wouldn’t inspect my own house. Should I use my friend or relative to take a look at the house? Maybe, see above. Your best bet is a thorough inspection from an unbiased professional inspector. A walkthrough inspection is conducted by the buyer or buyer’s representative to ensure the home has not changed from when the offer to buy contract was signed. It is usually conducted with a day or so of closing. It is not as detailed as a home inspection and should not be used in lieu of a home inspection. Issues discovered during a walkthrough are usually negotiated at the closing table, which can generate a whole other set of issues. Work closely with your real estate agent to make sure the walkthrough go smoothly. We can help with walkthrough inspections, contact us for more information. Click here to see a short walkthrough checklist. Have a question you would like answered? Fill out the form below and we will post your question with an answer.